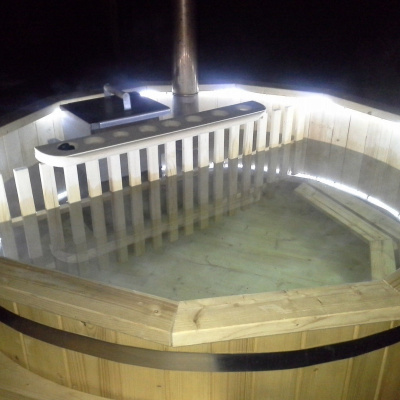 Cosy Nook Retreat - with PRIVATE Hot Tub, BBQ & gardens. Message us for discounts on 2 week bookings or more. 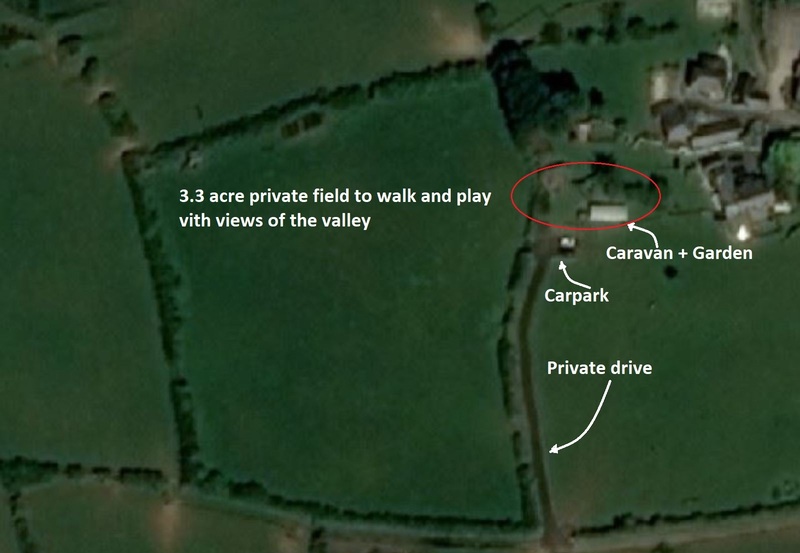 Large static caravan, 34 ft by 12 ft, only caravan on site, secluded private gardens and Private Hot tub, located in private gardens for sole use for our guests, this static caravan has traditional features yet modern interior. 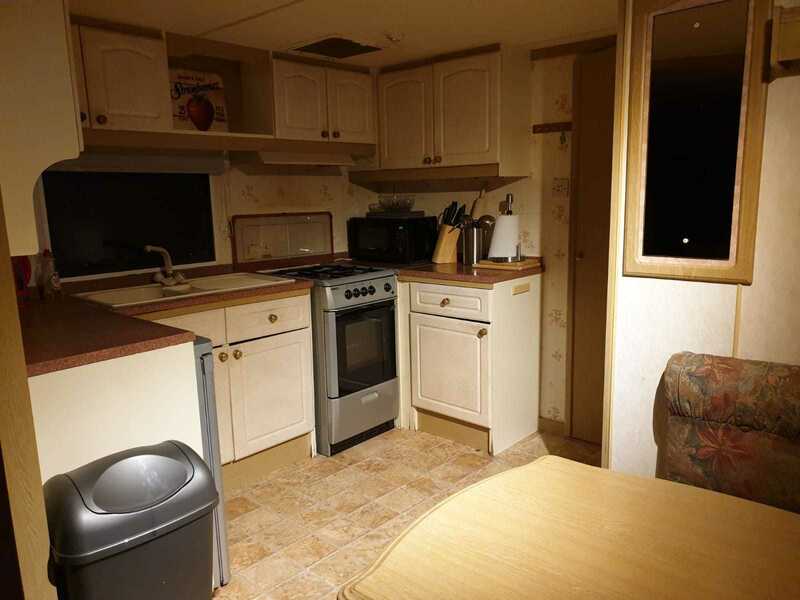 Please note this static caravan has two dedicated bedrooms, the double master and one with 'shortie' bunk beds, 'bedroom 3' is the large lounge with pull out sofa bed. Porth Beach is just 5 minutes away. 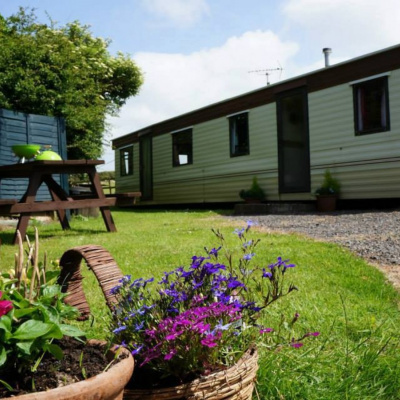 Set in a private garden this caravan is peaceful with a large enclosed garden, parking is right next to the caravan. 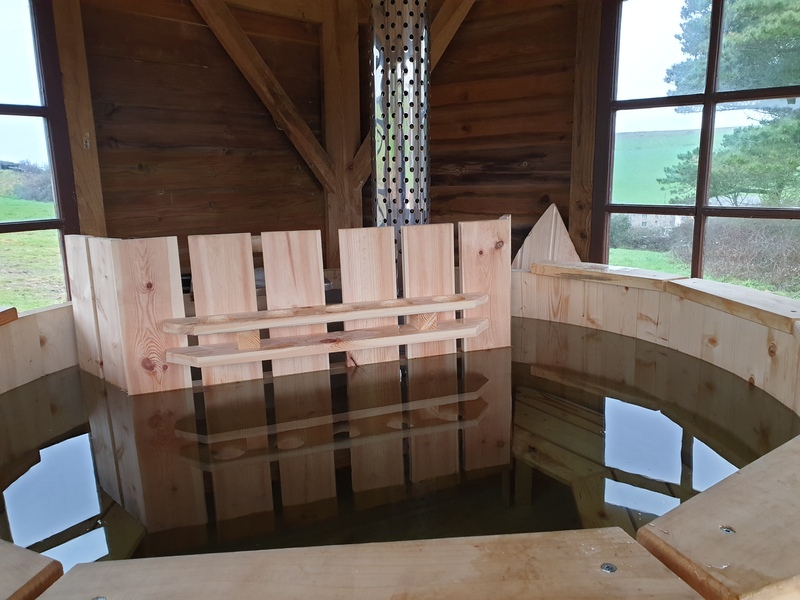 There is a large wooden gazebo with traditional slate roof with a wooden, log heated hot tub which can sit up to 4 to 5 people at once. The decking area is large and unique, finished to the highest standards, the windows of the gazeebo look across the field and down the Porth valley. 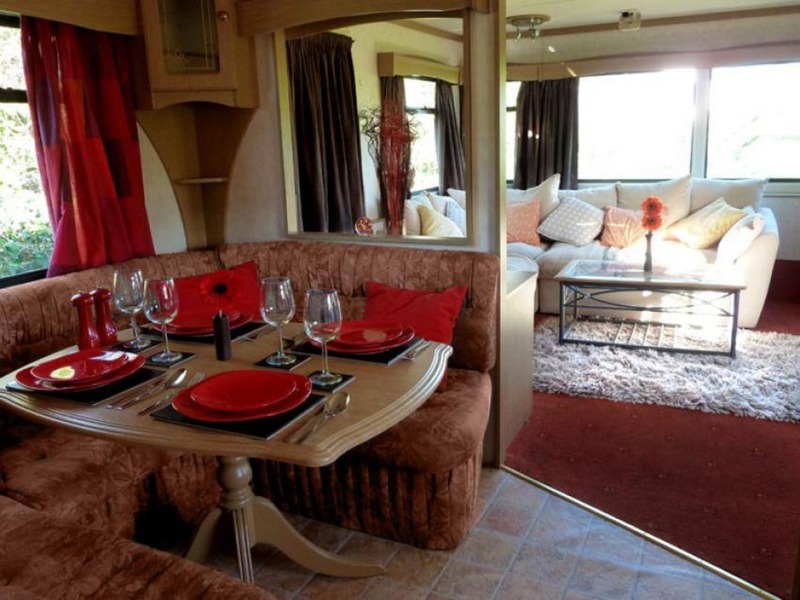 You will feel like this is much more than just a caravan holiday. 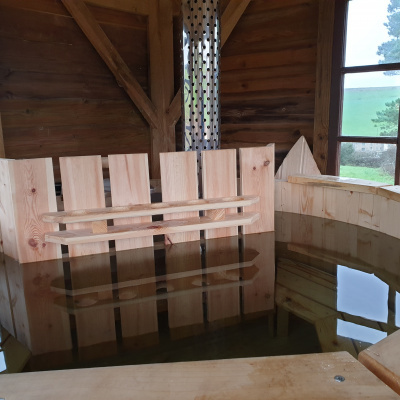 A bag of logs is included in each stay, enough for a couple of sessions - After this you can either supply your own logs or we can supply some for £7 per LARGE bag. There is also a BBQ ready for use, you'll have to supply charcoal and firelighters. 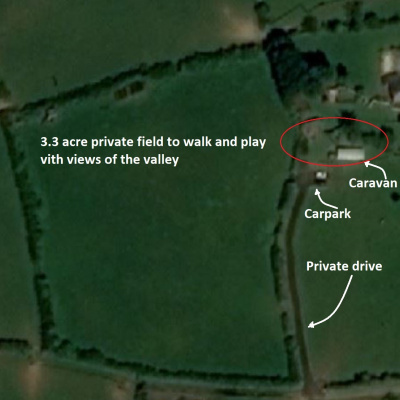 The design has been thought through to maximise your enjoyment of this unique area. 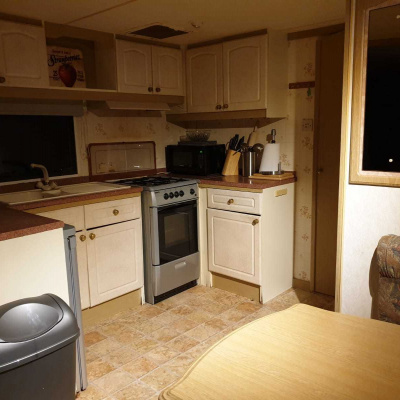 Full sized kitchen with gas cooker and fridge, no freezer. There are also 6 luxury outdoor cushioned reclining chairs to accompany a glass top dining table, all designed for outdoor use. Inside there is a 50" smart TV connected to our super fast free to use wifi, speeds of around 30mbps (fibre to home) We have Netflix setup for you free to enjoy. 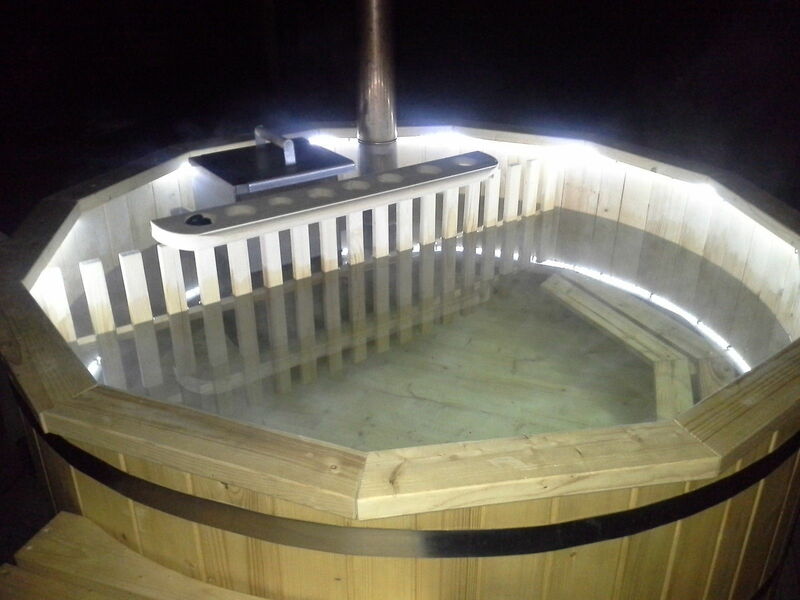 The hot water and cooker run off gas which is included in the price. Sleeps 2 adults in a double bed. Sleeps 2 adults in child's bunk bed (sleeps 2). Sleeps 2 adults in a sofa Bed. 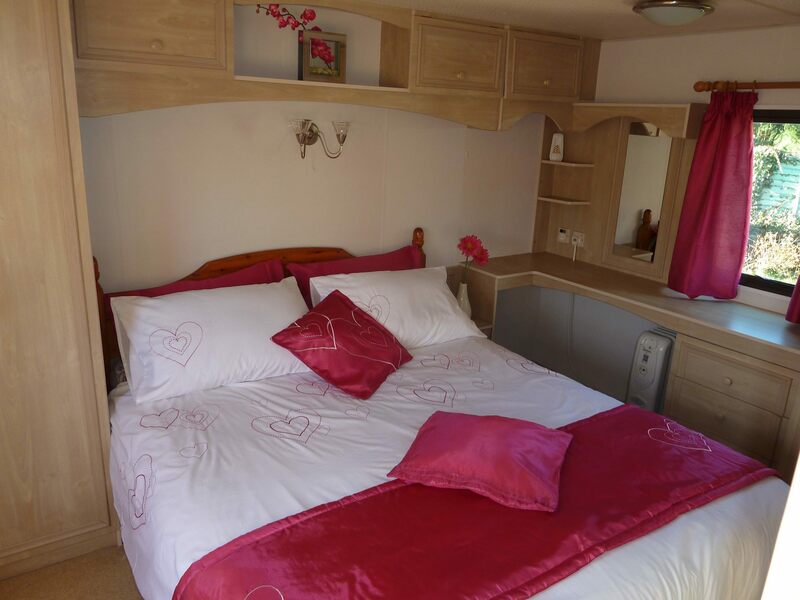 Your holiday caravan in Newquay will be your base in the nation’s favourite seaside resort. The surfing capital of Europe exudes a laid back vibe and is popular with surfers, travelers and holidaymakers from all over the world. Newquay meets the Atlantic coast of Cornwall with 7 miles of stunning sandy beaches and dramatic cliff-laden vistas. 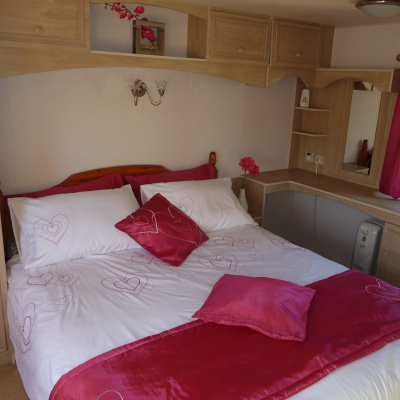 Everything you could ever want to find in a seaside rental caravan holiday is available in Newquay Cornwall. 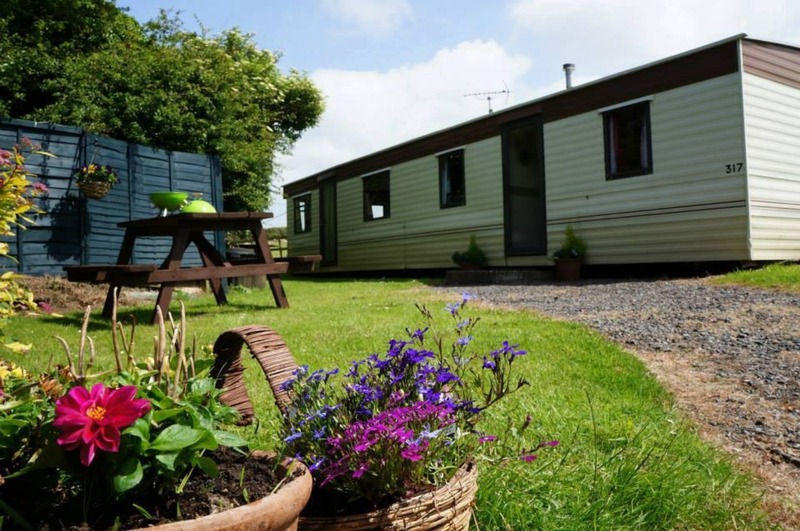 With more caravans to rent than most other places in Cornwall, you’re sure to find your perfect holiday lettings accommodation. Catering to everyone from stag-dos to young families, Newquay has so much to see and do it’s hard to list it all in one page. From its 11 beaches all within walking distance of your caravan in Newquay and the pumping surf at many of them, to a golf course, stunning gardens, an incredible selection of food and nightlife for all tastes, and plenty to keep the kids entertained. After dark in Newquay is a great time to catch local and international bands and DJs perform and if it’s your thing, you can find a really wild party in Newquay town. From your Newquay caravan you can head out for surf lessons at one of the many surf schools in town down at Fistral beach, Towan beach, or wherever else the surf is working that day. Newquay has grown a reputation for coasteering in recent years also, which is where groups of adventure seekers scale the cliffs and coves of the stunning headlands and leap from rocky heights into the deep Atlantic Ocean. Rock climbing, quad biking and abseiling are also on offer. For a more relaxed outing or family day in the sun away from your holiday caravan, there is a beautiful, tranquil boating lake in the 26 acre Trenance gardens, complete with rowing boats, pedalos and crazy golf on the side. Then there is the Gannel estuary; vast, dune-laden beach picnic spot popular with young families and couples. Pirate’s Quest (Buccaneer Bay / Tunnels Through Time) is a great family day out with many special events on during the summer and many independent organisations run great kids events in town and on the beaches during the summer holiday weeks, including sand sculpting, treasure hunts and team games. 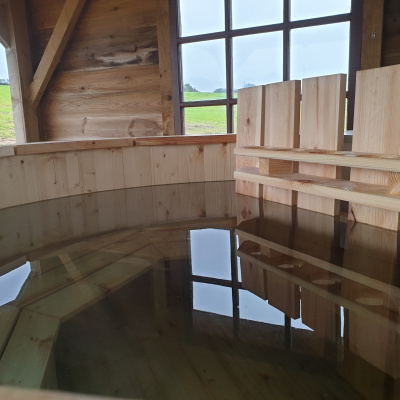 There are many festivals and events throughout the year, from the town-wide fancy dress party at New Year complete with epic firework display over the harbor, to the annual Boardmasters festival in summer, with hundreds of other events I between. 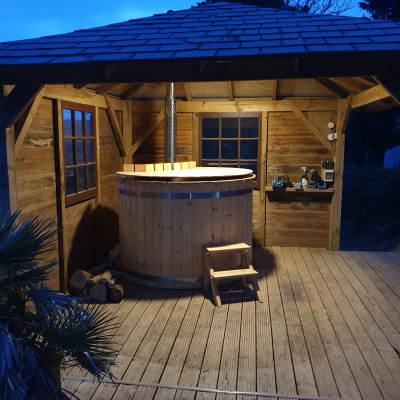 You can find real ale, Cornish cyder, live music and entertainment in town on any night of the week and you won’t have any problem staying truly entertained if you’re planning on getting back to your Newquay holiday caravan late at night or early in the morning. The harbor in Newquay is one of the most photographed in the country and houses a wide variety of tourist and working fishing boats. Sea fishing charters can be booked easily in many of the numerous tourist / gift shops in town and for those not eager to catch their own dinner, the harbor hosts many fine dining seafood restaurants that do all the hard work for you in spectacularly tasty style. Newquay caravans also offer nearby attractions including Newquay Zoo and the Blue Reef Aquarium - great days out for the family. 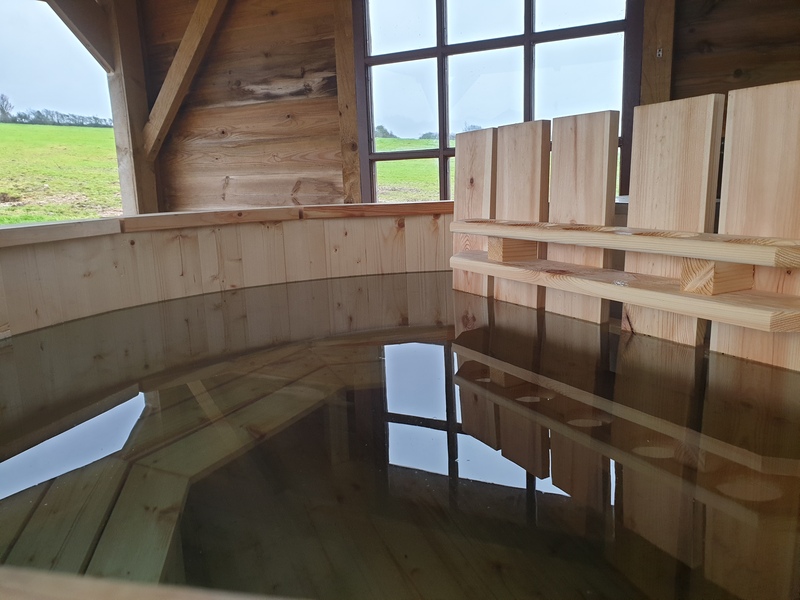 A visit to nearby DairyLand Farmworld provides a day's entertainment for all ages in an all-weather environment and the Cornish Cyder Farm, home of the notorious Rattler Cyder is also close by and great family fun (of course, perhaps more fun for the over 18s amongst us). The Cornish Birds of Prey Centre has the largest collection of birds of prey in the Westcountry and it is possible to fly and handle one of these magnificent birds under supervision. Our holiday lettings and caravans in Newquay allow you to experience the most popular resort in the country from its very heart. 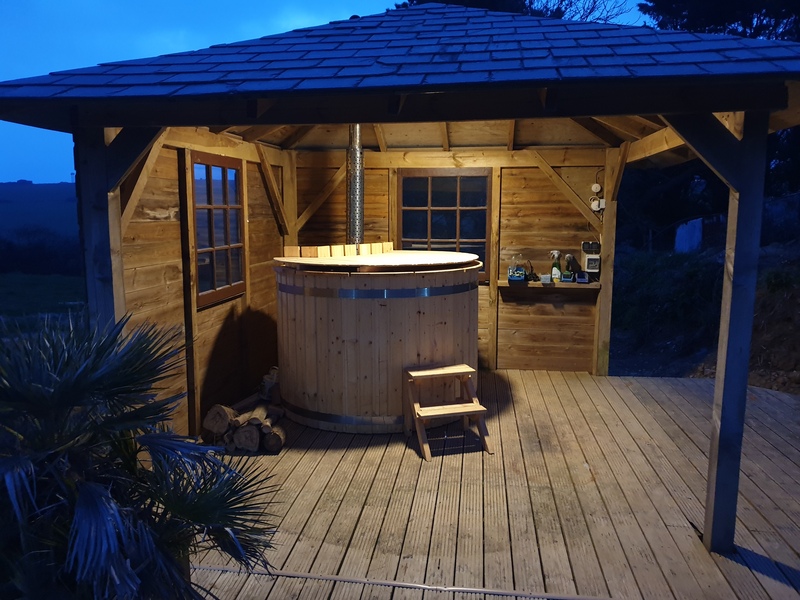 Those looking to experience all that Newquay has to offer, but also a quiet place to escape may also want to look at caravans in Mawgan Porth or caravans in Perranporth, both nearby. 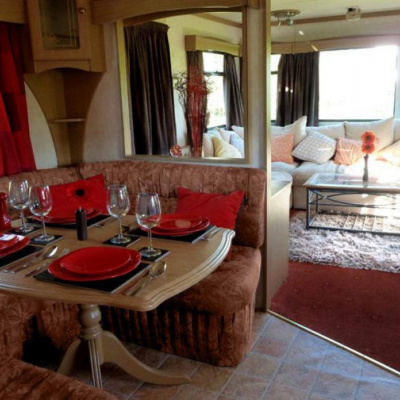 We have never had such a relaxing yet luxurious holiday in a static caravan. We found having a Hot tub in the garden a unique treat. The garden surrounds the caravan with some stunning well designed areas, ideal for BBQ's and with the gazebo being built next year I really want to re-book, the adults enjoyed a few drinks in style well into the evening. We only watched one movie as we were entertained in the 'outdoors' most of the time but when we did is was so cosy inside with a massive TV with Netflix added for free it was all we could ask for. Hello, thank you for your kind words! Although 2018 was a short season we enjoyed having you. I hope to see you in 2019!